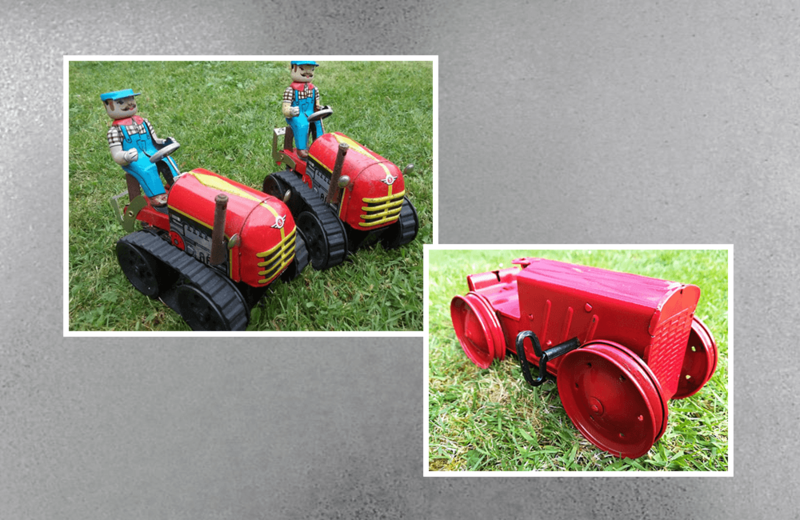 Phil Chapman collects vintage tinplate toys. 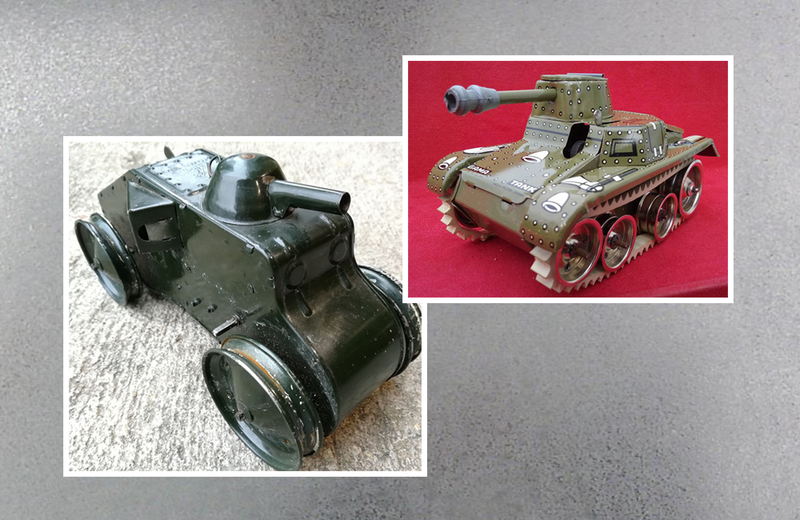 In this first installment of Collector Spotlight, Phil shares his collecting philosophy and explains why human connection is the key to a strong vintage toy collection. 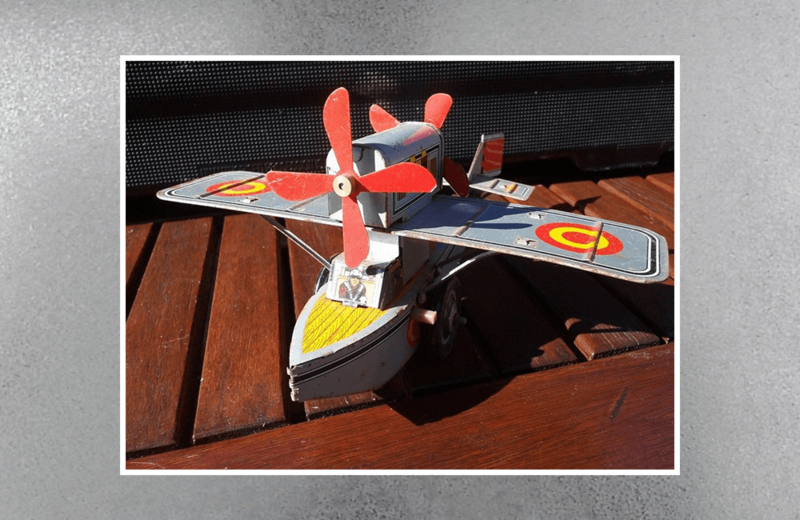 I collect vintage tinplate toys from European manufacturers, mostly. I do have a few items in my collection that aren’t tinplated, though. 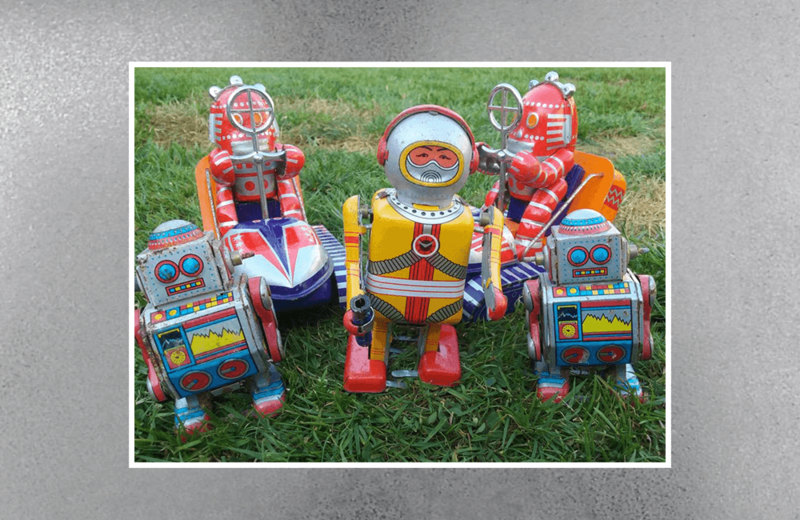 How long have you been collecting tinplate toys? Why did you start collecting? I’ve been collecting for about 20 years. 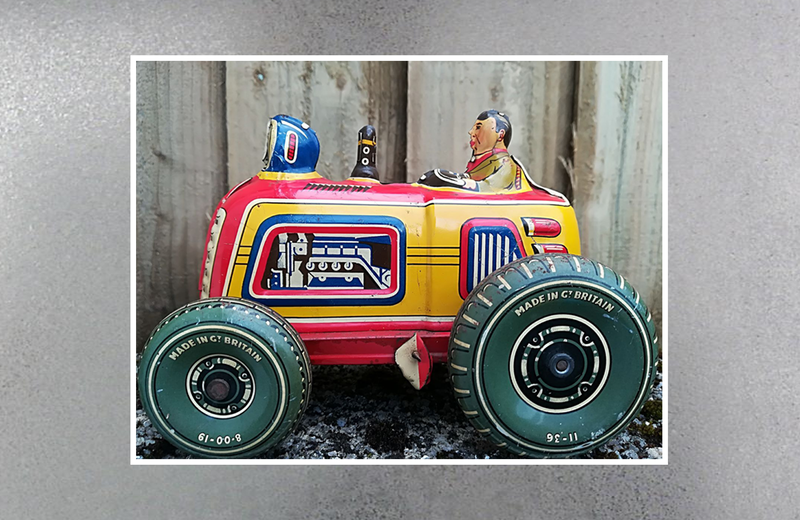 I used to own a real vintage tractor and motorbike, but those are a bit big so I moved to collecting smaller versions of those items. No one was really interested in tinplate when I started collecting. That’s changed now, of course. 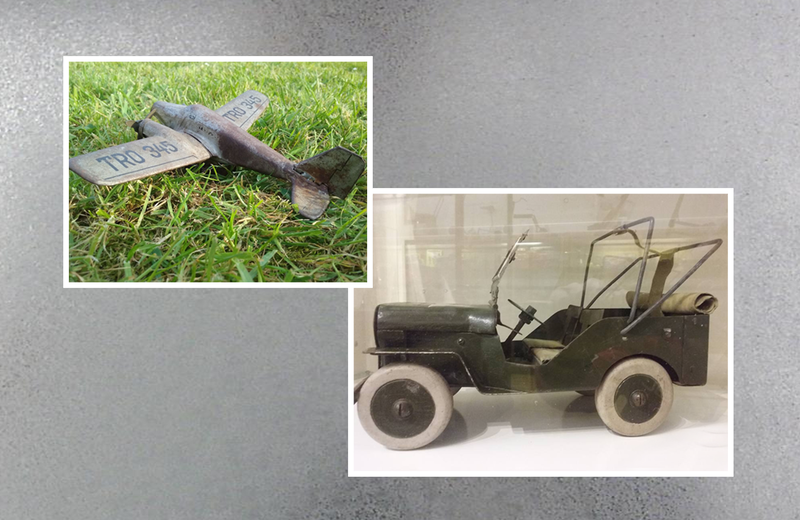 My collection is on display at Liskeard and District Museum in my hometown of Liskeard, UK. The Museum created a toy display a few years ago. I went to see them about the collection; we connected about the toys and their history. They gave me a dedicated room to showcase my collection and it’s been there ever since. I love that Museum visitors have a chance to see the collection. 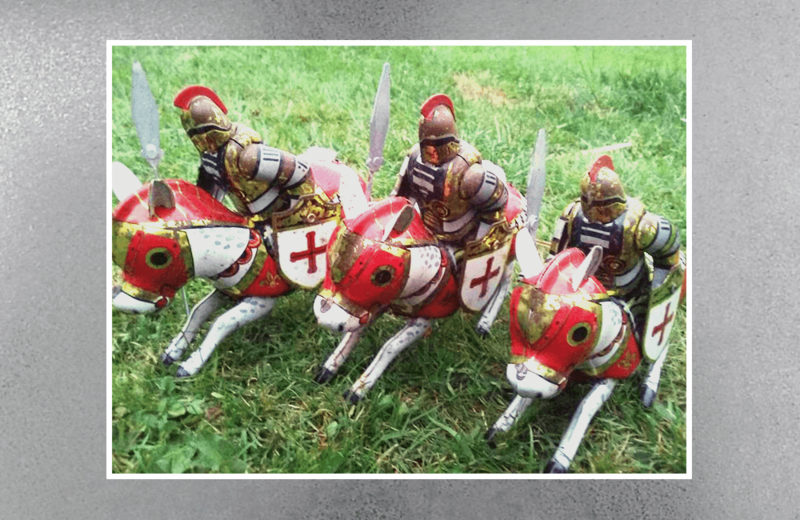 It’s not just about toys, it’s about history. 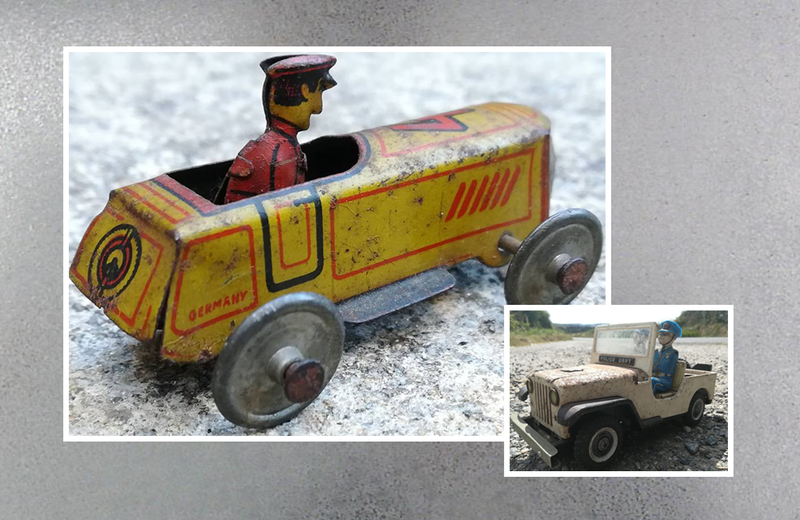 People are initially drawn to the toys but they learn the stories behind them and a little about the times in which the toys were produced. Children especially find this fascinating. 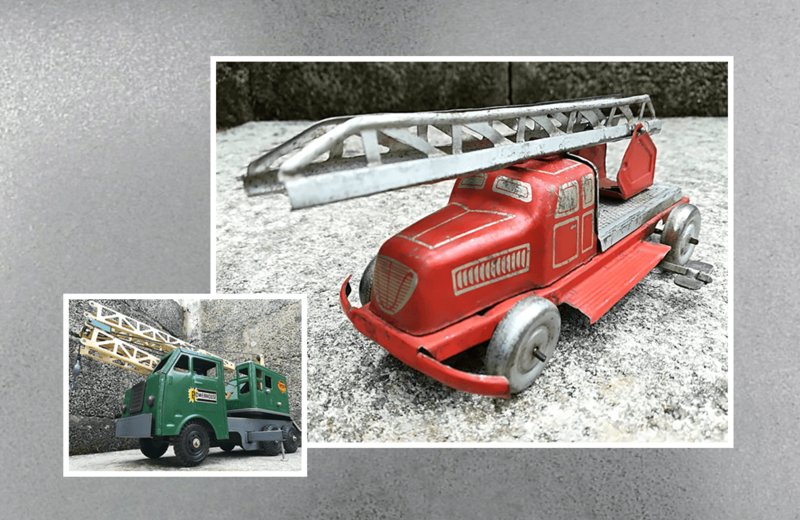 What do you consider to be the Holy Grail of tinplate toys? There’s no real holy grail; nothing that I feel that I have to own. 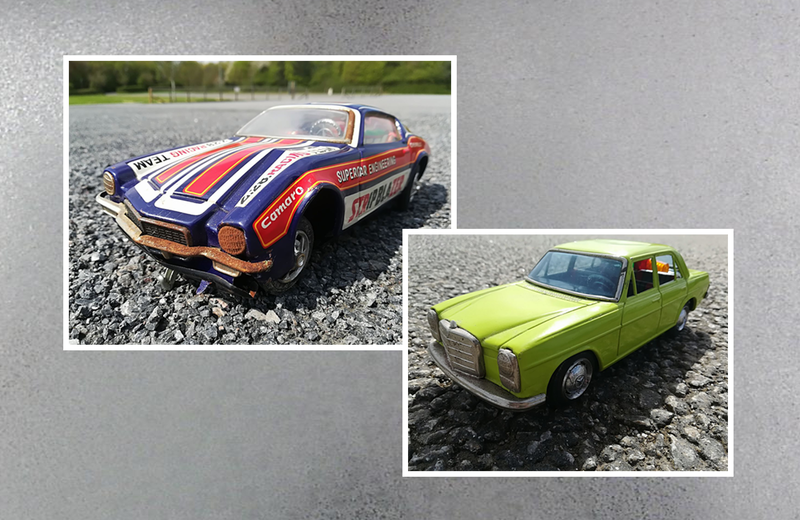 I do have two rare items already in my collection: a 1968 Chitty Chitty Bang Bang car (one of only a handful known to exist) and a 24-carat gold replica of the golden gun from the 1974 James Bond film, “The Man with the Golden Gun”. 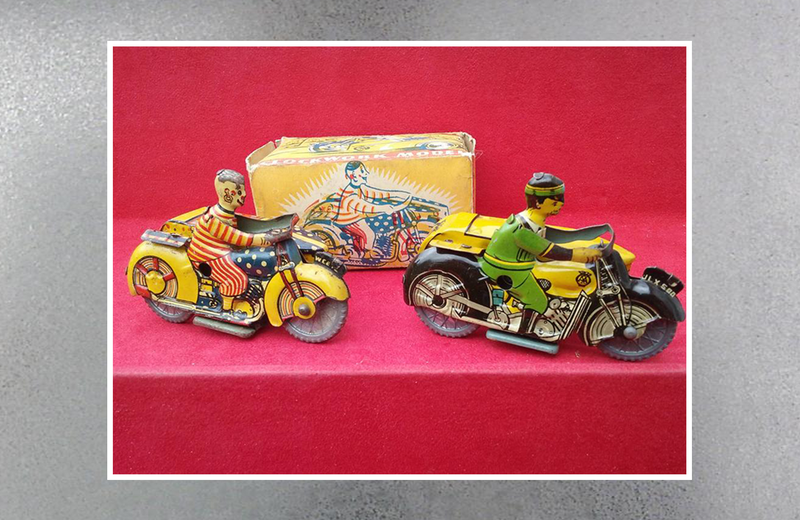 I also have a rare clockwork tinplate motorcycle and an AA tinplate motorcycle. 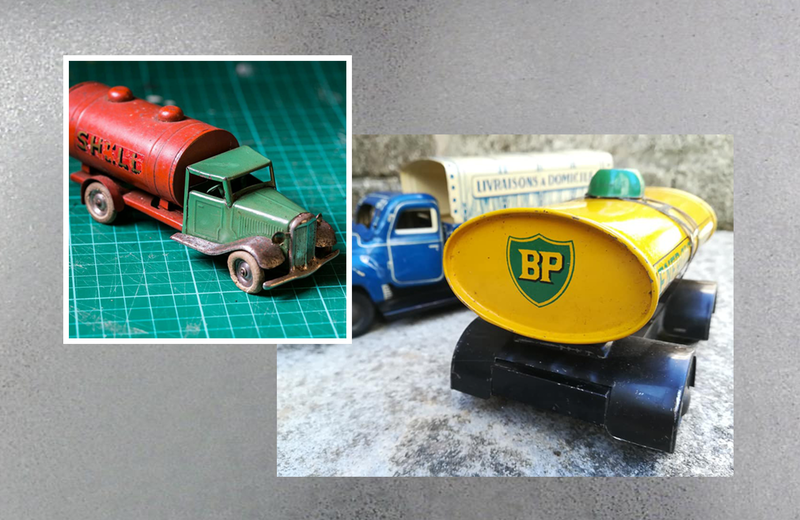 What advice would you give to someone who is interested in starting a collection of tinplate toys? Do your research; research is king. Also, don’t spend out of your means. Many collectors get skinned buying toys for their collections. 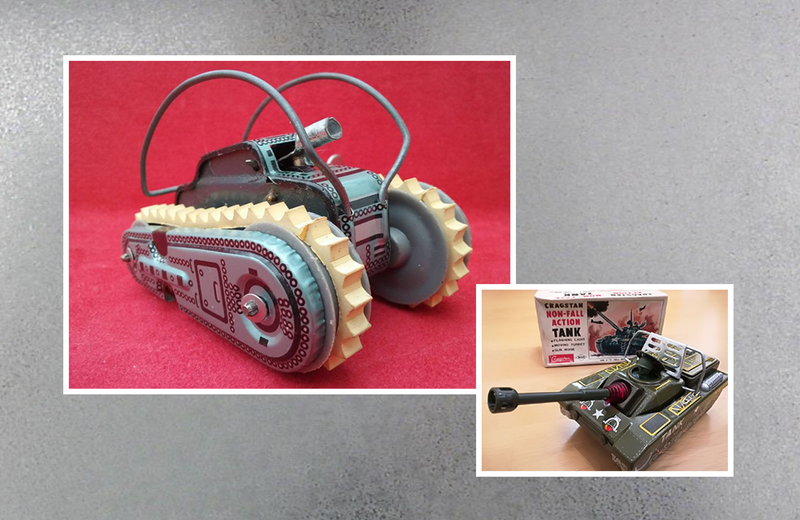 What resources do you use to acquire knowledge about tinplate toys and connect with other collectors? I study books and the internet. I’m always looking for that piece of information a toy dealer may not know. I also talk to a lot of people. Professional dealers are a wealth of information and they are happy to share what they know. Make sure to talk with sellers who aren’t specialists and may have a random toy among their items. 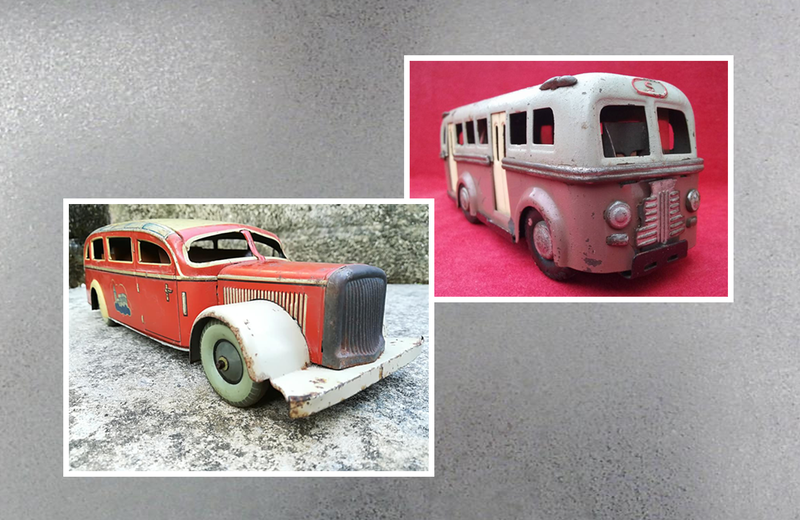 That’s where the history of a toy is often found. A toy may have been theirs since childhood. The seller may know where it came from and can provide the story behind it. Once the person is gone, the history may be lost, so I always ask questions to learn as much about it as I can. Talk with the people you meet; it really opens up the doors to information and possibly an introduction to other collectors or sellers. I met Terry English this way. I bought a toy Rolls-Royce from him after coming across his display at a Cornwall antiques fair. Terry is the armourist to the Royal Family and an accomplished costume designer. As it turns out, he’s also a toy collector. 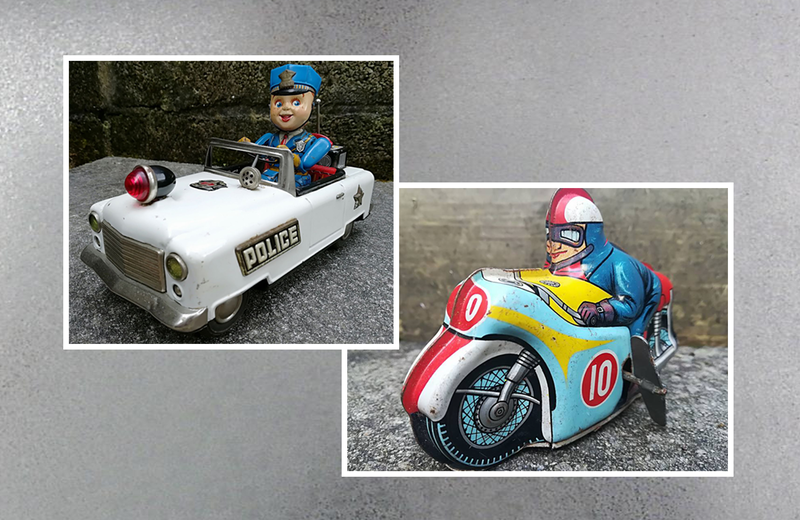 I met the creators behind Studio Wallop when they came to the Liskeard and District Museum to profile the collection. I talked with them about the stories behind the toys and from that meeting came the opportunity to work on ToyMan, a show about the history of toys and related items. eBay has its place, but there’s no substitute for human connection. 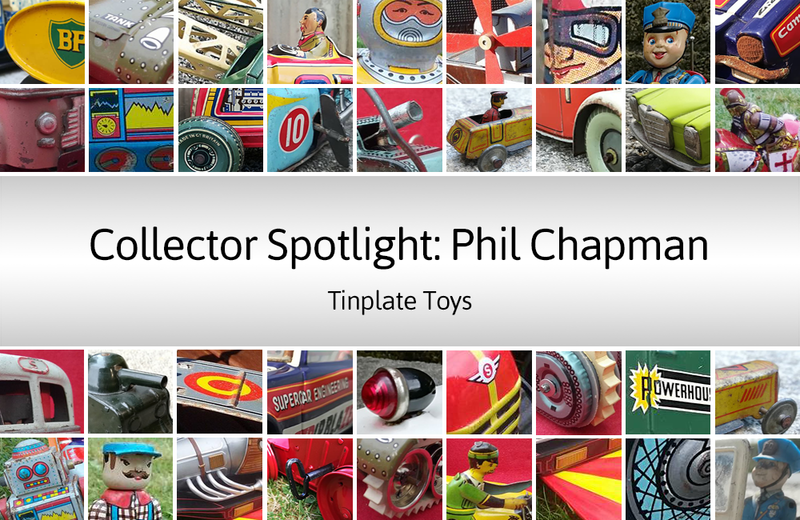 Learn more about Phil Chapman and his collection on his Facebook page.